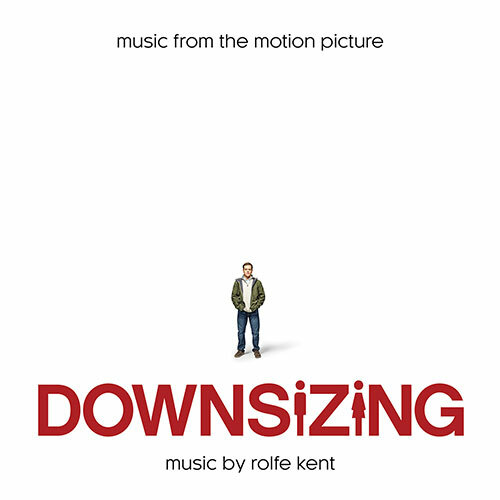 The movie soundtrack of Downsizing will be released on December 22, 2017 by WaterTower Music. Bodi (Luke Wilson), a wide-eyed Tibetan Mastiff, is expected to become the next village guard to a group of fun-loving, country-side sheep, but fears he does not have the passion to assume the role from his dad Khampa (J. K. Simmons). Everything changes when a radio literally falls out of the sky and Bodi hears a song by rock legend Angus Scattergood (Eddie Izzard), opening his heart to a musical world he must explore. Leaving home to chase his destiny in the big city, Bodi attracts the attention of Khampa’s nemesis Linnux (Lewis Black). Leader of a hungry wolf pack, Linnux believes that Bodi is his ticket back into the village and closer to delicious sheep. It is up to Bodi to save his family and friends from harm without giving up his newfound dream. 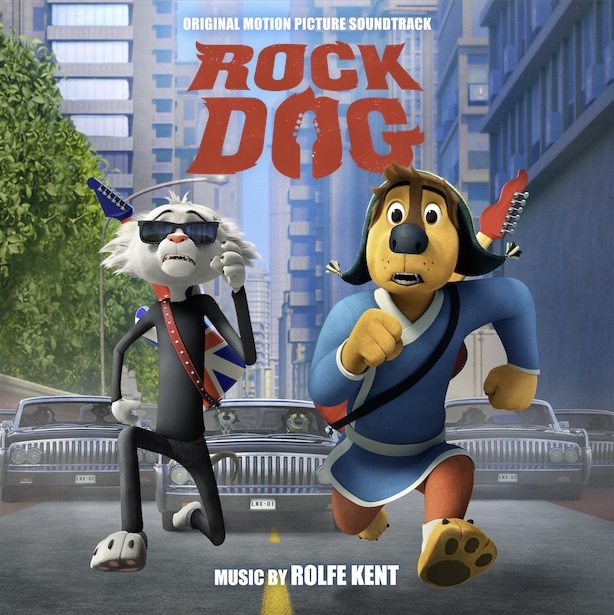 The movie soundtrack of Rock Dog will be released on February 24, 2017 by Lakeshore Records. .I always loved the sound of Yo-Yo Ma’s sliding cello in CROUCHING TIGER HIDDEN DRAGON, and for Bodi’s father, Khampa, who is a Kung Fu master after all, I used solo cello in a similar style, with the softly sad glissandos of the cello revealing his gentler side, and how he misses his son. This theme keeps coming back each time we revisit Khampa. 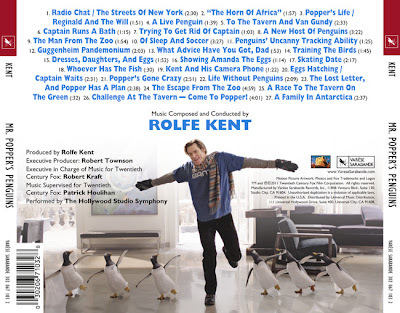 Music by Rolfe Kent. 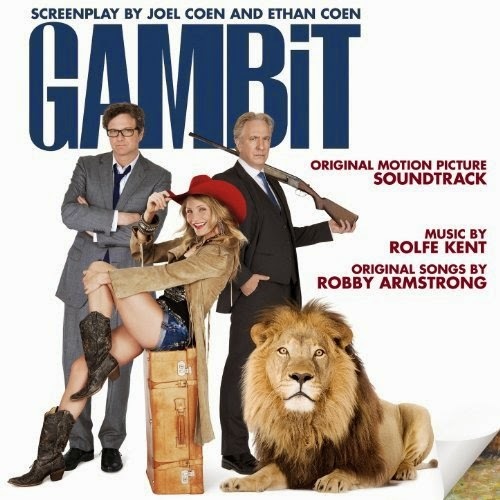 – Original songs by Robby Armstrong. Harry Dean, an art curator, plans to take revenge on his abusive and loaded boss by conning him into buying a fake painting: Monet’s Haystacks. For the plan to work, he requires the help of a beautiful woman to play his gambit. Harry finds the perfect candidate in an eccentric and unpredictable rodeo queen from Texas. But as Harry becomes more infatuated with her, his mighty plan takes a series of wrong turns. The movie soundtrack of Gambit will be released on May 13, 2014 by Lakeshore Records. Mmusic composed and conducted by Rolfe Kent. 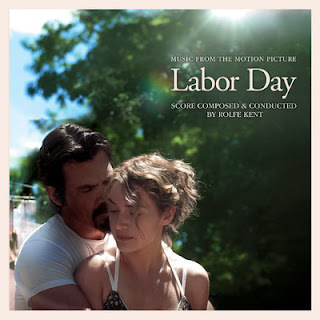 The soundtrack of Labor Day will be released on December 17, 2013. 26. 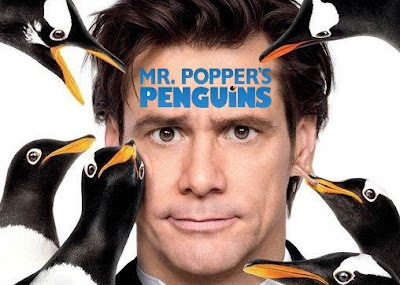 Challenge At The Tavern — Come To Popper! The soundtrack of Mr Popper’s Penguins will be released on June 28, 2011.